One of the things that I love most about wedding photography is the pace of it. It’s fast. It’s never the same. It changes from minute to minute, hour to hour. It changes from wedding to wedding. Every wedding has a different feel from the last. A new vibe. Weddings hardly ever hold still. Neither does my own brain, so it all works out pretty well. I love the things that do hold still, though. The things that don’t change from wedding to wedding. Family and friends coming together from far off places. The love in the air. The blue of the ocean. The way the wind blows a bride’s hair astray and yet they all still look as perfect as can be. People dancing as music fills the air. So it was great fun putting together Cassidy & Matt’s wedding photography. 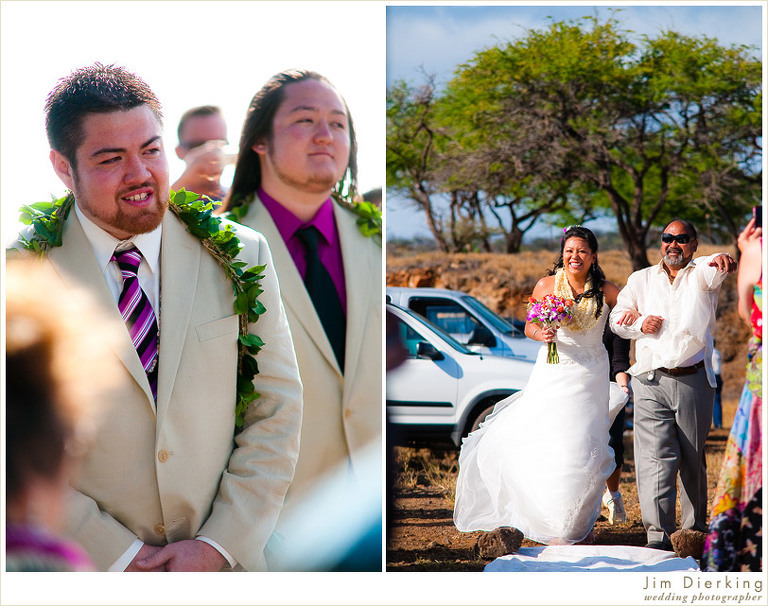 Their Kohala wedding had an amazing vibe. A sense of movement and of remembrance and nostalgia as we visited places from Cassidy’s upbringing. 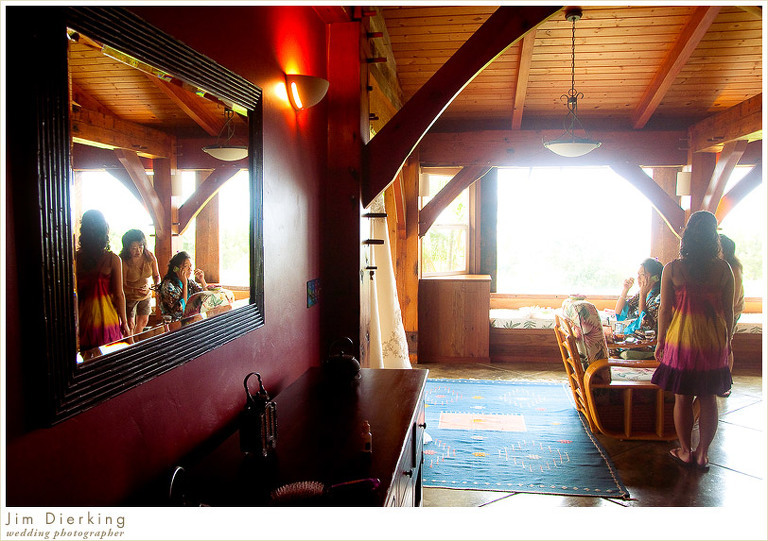 There was a feeling of change and a feeling of things staying the same, as they often do in a beautiful, rural place like Kohala. 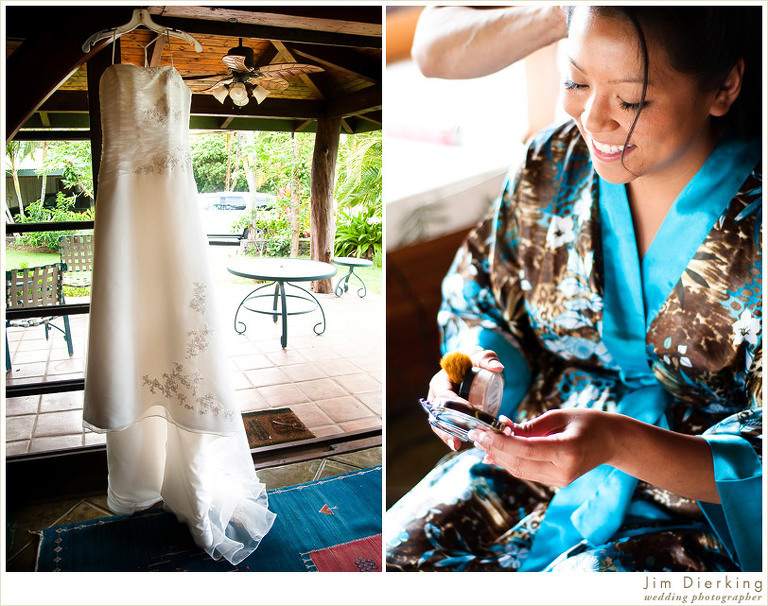 It was very dynamic and exciting for me as a photographer, and made for a beautiful wedding day. 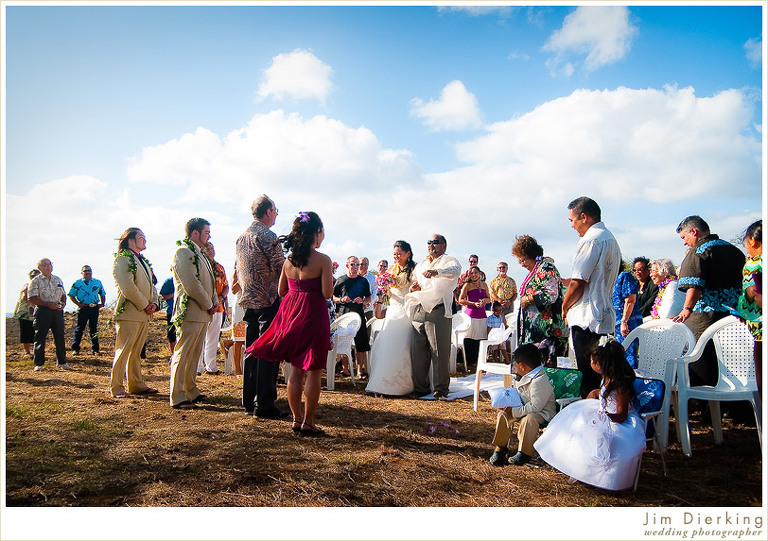 A beautiful, secluded ceremony. We visited a few spots in Kohala to hang out, take pictures and enjoy the day, including Mahukona Beach Park, above. I grew up swimming, camping and jumping off the old pier there so it was quite a thing for me to be back. After a few minutes, we continued our tour with a trip to Kapa’a beach park — Kohala is truly a special place on the Big Island. I’m not sure how to describe it — There’s just something about it that pulls at my heart. Below, the scenic lookout at Pololu Valley. As night fell, the reception began. Hundreds of family members and friends filled three massive tents at Cassidy’s family home in sleepy Kapa’au town. Loud music, good food and tons of laughter! Cassidy and Matt were just so happy. Happy at home in Hawaii. One of my favorite moments was when they had their first dance, surrounded by their families joined hand in hand, now a single huge family — You know it’s a local, hometown wedding when there are a ton of kids around! 🙂 They had front row seats to a few keiki hula performances. And a fire dancer! Live reggae music made the night come alive… and was still going strong late into the night. Thank you again, Cassidy & Matt! Being a part of your family celebration is something I won’t ever forget. Coming up next, their Trash the Dress session!